It’s the right decision, of course. But it can’t be an easy one in a city with a sizable and politically potent Irish-American population. Which helps explain why you have to go back 20 years to find another New York mayor who didn’t march in the parade. 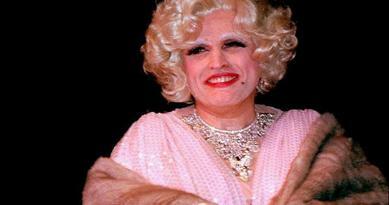 Rudy Giuliani and Michael Bloomberg—both men politically and personally tolerant of LGBT people (remember Giuliani’s drag performance? )—marched in every parade during their mayoralties. What makes de Blasio different? Partly, he has the luxury of making the decision in 2014, when even New York City is more advanced when it comes to gay rights than it was in 2009, or 1999. Yet all the way back in 1993 a mayor refused to march in the parade due to its anti-gay attitude. That mayor, David Dinkins, was also a Democrat. So you see how that works. In politics, especially democratic politics, all politicians are slaves to their supporters. No matter how sound their professed politics are, no matter how skilled they are, and no matter how many billions they have, they disrespect important supporters at their peril. By virtue of being a progressive Democrat, de Blasio is more reliant on the votes of gay people and tolerant people and less reliant on the votes of homophobic people than the Republican Rudy and the Republican-turned-independent-turned-biking advocate Bloomberg were. He is going to reflect that base more consistently than those two did. The lesson is that if you want someone who is going to be liberal in as many facets of his governing as possible, you should vote for the most progressive candidate and/or the one with the most progressive supporters, rather than try to jump through hoops to justify voting for someone based on agreeable centrism, or personality, or other attributes. (This principle applies to conservatives, too.) The candidate of the left is going to serve the left. The candidate of the party establishment is going to serve the party establishment. The one way to supersede this principle is for a constituency to make itself loud enough all candidates have to heed it. To wit: When the left makes itself loud enough, then sometimes the candidate of the party establishment will hang out with Bill de Blasio. As she did yesterday.